The launch of the Gentle Giants gPants signifies the official start of a partnership between gNappies and Every Mother Counts, though the connection between the organizations began when gDiapers (gNappies in the UK) Co-Founder Kim Graham-Nye & EMC Founder Christy Turlington Burns met at Fortune’s ‘Most Powerful Women in Business Summit’ in 2011. Since then, Kim and husband and Co-Founder, Jason Graham-Nye, have run several races around the world in support of Every Mother Counts. Most recently, Kim and Christy visitedTanzania together with Team EMC to run the Kilimanjaro Half Marathon and visit initiatives that are supported by the organization. “Every Mother Counts was born out of a need to improve maternal health and reduce preventable maternal deaths. We know we can’t do this work on our own, so we welcome partners like gDiapers with visionaries like Kim and Jason who are committed, as we are to making pregnancy and childbirth safe for every mother,” said Christy Turlington Burns, founder of Every Mother Counts. gNappies Gentle Giants gPants features prints of mama and baby elephants, inspired by the beauty of Tanzania and the mothers and babies the gTeam and EMC met during their time there. “Both teams share a love of Africa, and elephants are close to my heart, so the design direction took shape immediately,” said Kim-Graham-Nye. “We then layered in the Every Mother Counts colour palette and worked on keeping it both gender neutral and appropriate for newborns through toddlers,” she said. 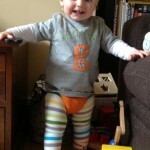 Gentle Giants gPants are sold through websites and retailers worldwide at RRP £17.95. Additionally, gNappies is committed to providing more than financial support to Every Mother Counts and will also be focused on raising awareness for maternal health across all their programs, particularly their running initiatives. One of the biggest barriers to care is distance, with women often living up to 26 miles away from the closest emergency services. Every Mother Counts is a non-profit 501(c)(3) organization dedicated to making pregnancy and childbirth safe for every mother. Every Mother Counts informs, engages, and mobilizes new audiences to take actions and raise funds that support maternal health programs around the world. The organization was founded by global maternal health advocate Christy Turlington Burns in 2010. With funds raised, Every Mother Counts supports programs that improve access to comprehensive maternity care in Haiti, Uganda, India, Tanzania, Nepal (emergency relief fund) and the United States. 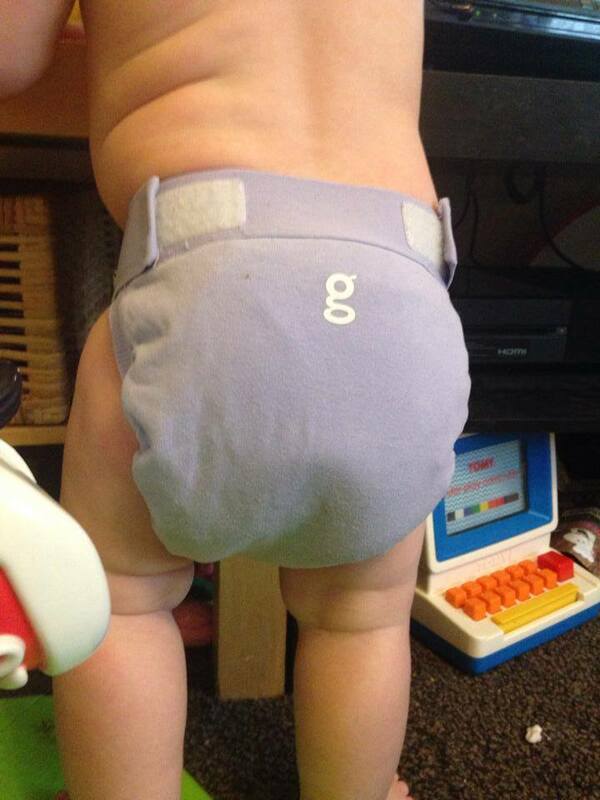 gNappies is changing the world of disposable nappies—top to bottom, inside and out. The simple system pairs adorable soft cotton gPant diaper covers with disposable inserts that are flushable and compostable (wet ones only). gNappies inserts are Cradle to Cradle Certified™ Silver — a mark trusted around the world for ecologically intelligent design. gNappies is also proud to be a certified B Corporation. B Corporations use the power of business to solve social and environmental problems. Above all, gNappies is dedicated to keeping babies clean, cute and comfortable — as part of a growing global community of parents who are looking for beautiful products. In the UK we have had a lot of stuff going on these past few days. On the 5th of November it was Bonfire Night, the 11th of November was Remembrance Day and then on the 14th November we had BBC’s Children in Need. For the 11th of November Petit Girl wore her red gPant whilst we all wore our poppies, on the 14th November she wore her yellow gPant whilst my son went to school in spots and stripes. Yesterday I realised what day was coming up so put a message up on one of the gNappies Facebook groups asking if people could help by wearing purple to raise awareness of premature births, charities who help families with a premature baby and remember those who sadly aren’t with us after being born too soon. Today is World Prematurity Day. I didn’t expect much. Maybe a handful of pictures posted in the morning. Instead I found this. I also found a message on my original post from staff of gNappies saying what a lovely idea it was so for them to take my idea and help raise awareness was fantastic to see. I was so proud of all the purple gPants on show, the stories being shared, the candles being lit and of course the awareness being made. 1 in 13 babies in the UK are born premature. The medical science over the years has greatly advanced from when I was a baby and now babies that wouldn’t have had even a chance 20 years ago have far better care, units dedicated to premature babies and trained staff that work specifically with the tiniest of lives. But many still don’t survive. You can help charities like Bliss and Tommy’s by donating so we can further advance our knowledge and understanding. The more we understand the more we can help reduce the amount of early births but also help those who are born early get a better chance of survival. And remember to tweet using the hashtag #WorldPrematurityDay to help bring awareness whether you’ve had a child born early, are an early baby all grown up or just know someone who has… please help in whatever way you can. Thank you.